my mind is boggled. that is amazing!!! Awesome and inspiring; detailed and interesting....perfect! 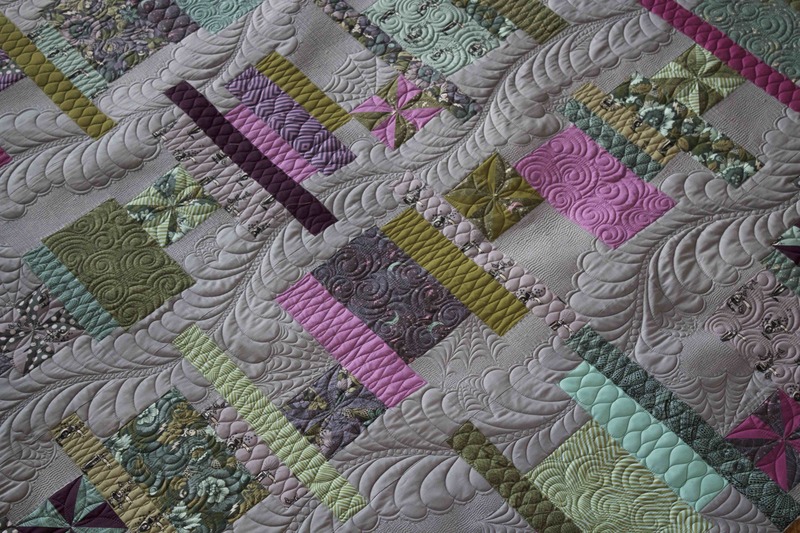 There's some playful quilting going on here. 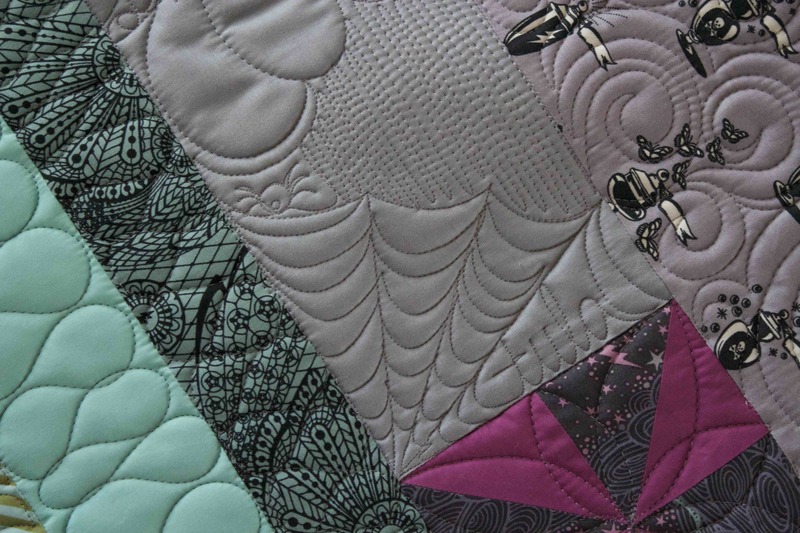 Lots of interesting activity quilted in. So awesome. I really want to get a hold of that fabric line. I'm a huge fan of Halloween and macabre type things. This is right up my alley! My new favorite.... you and Tula are like Peanut butter and Jelly- this rocks on so many levels... wish I could see it in person. 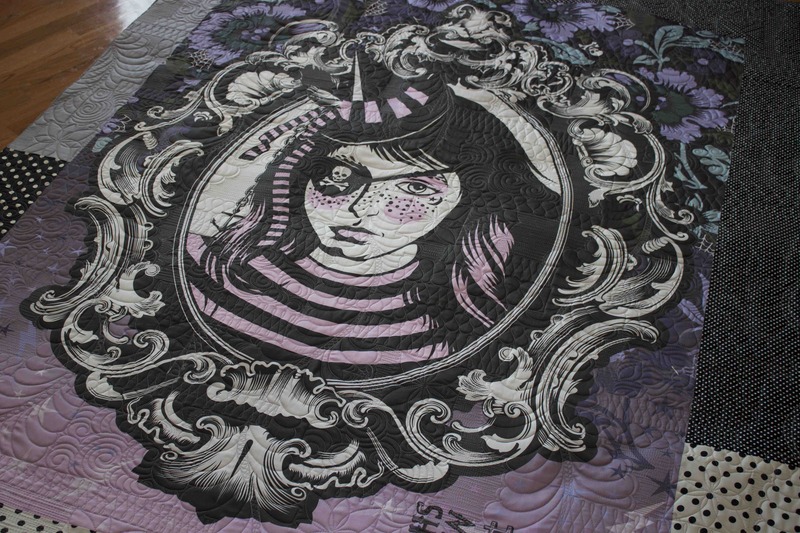 I love how dimensional the quilt looks. 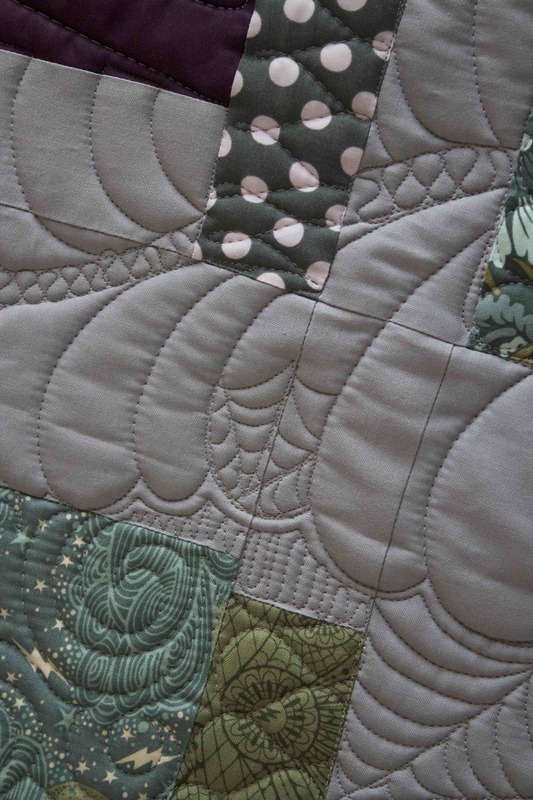 When you are doing multiple different designs on a quilt do you complete each section individually as you come across the section or all the same sections at one time? Hope this made sense. Thanks! 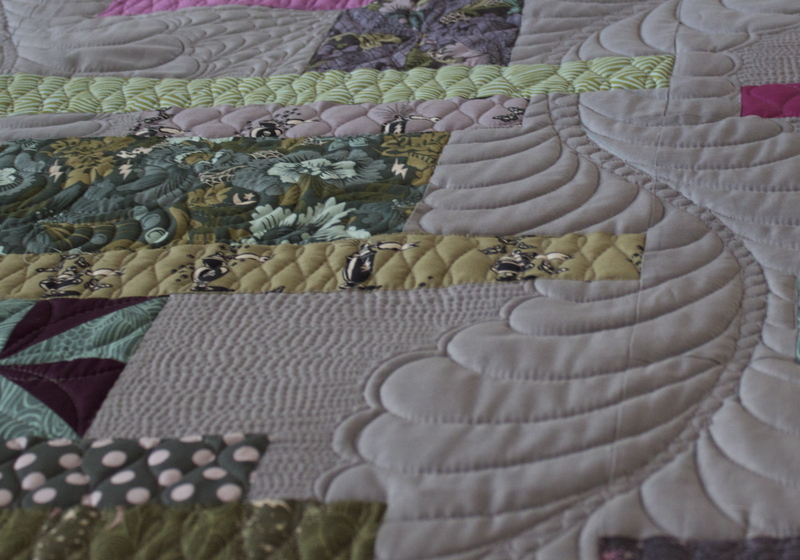 I loaded the quilt sideways and then just quilted it as I came to it. Does that make sense?? 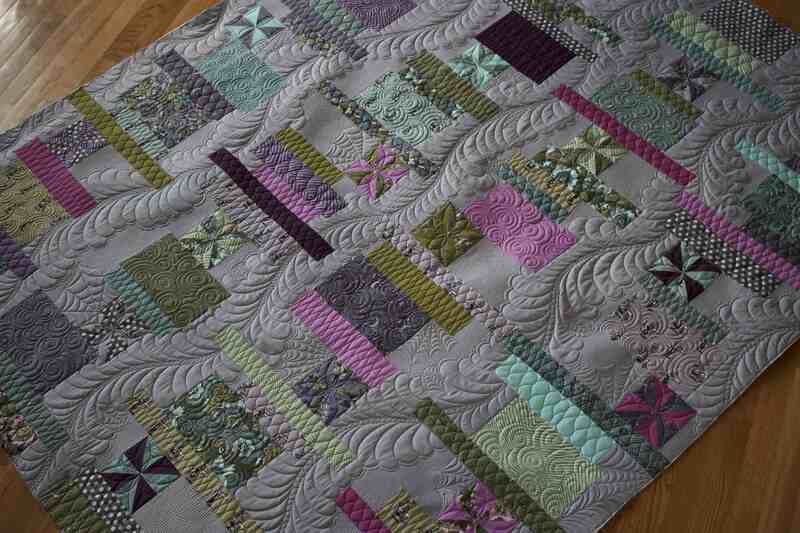 For example, I didn't quilt all the feathers and then go back to do the rest, Let me know if that helps!! !